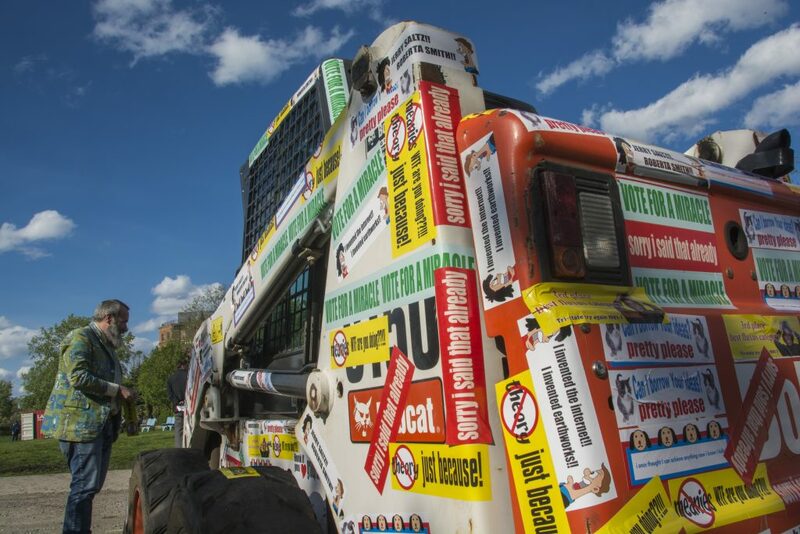 These playful bumper stickers emblazon the park’s Bobcat loader, undercutting the seriousness of this prototypical emblem of masculinity. 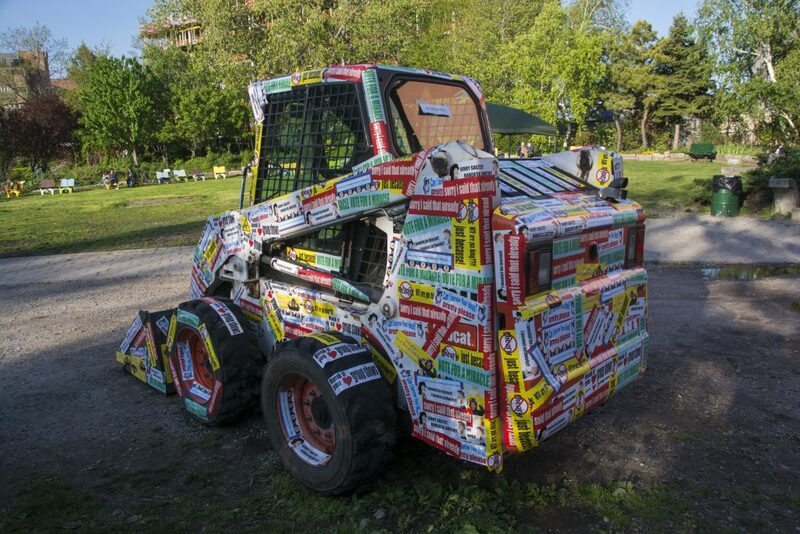 In the inclusive, participatory, collaborative spirit of the park, visitors adorn the vehicle with stickers during the exhibition’s opening. 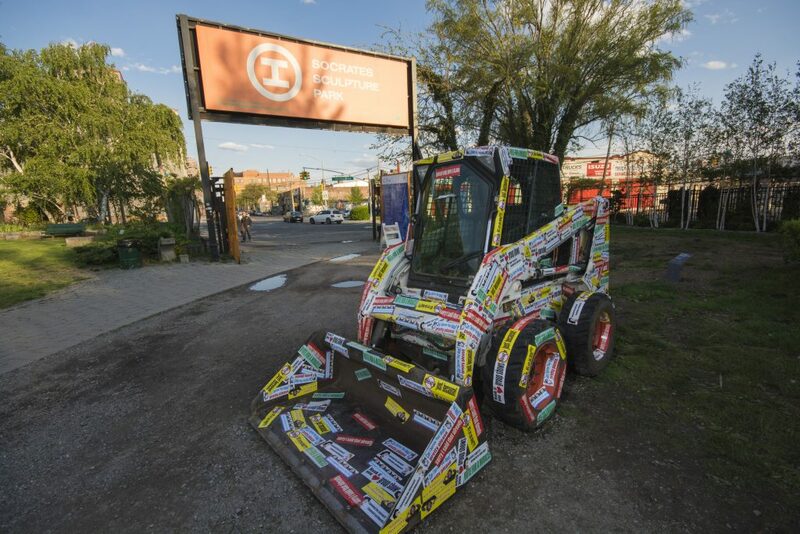 Image credit: Cary Leibowitz, Honk If U Love Socrates Sculpture Park, 2016. Installation view. Courtesy Nate Dorr.